Street Fighter 30th Anniversary Collection for Nintendo Switch, PS4, Xbox One, and Windows PC is an anthology of twelve Street Fighter games released over the years. It has the original Street Fighter released in 1987; five iterations of Street Fighter II – The World Warrior, Champion Edition, Turbo: Hyper Fighting, Super, and Super Turbo spanning 1991 to 1994; three iterations of Street Fighter Alpha, i.e. Alpha, Alpha 2, and Alpha 3 from 1995 to 1998; and three iterations of Street Fighter III – New Generation, 2nd Impact, and 3rd Strike with the first two initially releasing in 1997 and the third in 1999. In an age of remasters and re-releases, Street Fighter 30th Anniversary Collection falls in the latter. So if you were expecting high-definition visuals or improved game modes or even an enhanced frame rate, think again. Instead, Street Fighter 30th Anniversary Collection has a set of arcade-perfect ports. And while number of games may seem voluminous, a large chunk of them incorporate under the hood tweaks or new characters instead of brand new games. Particularly in the case of the Street Fighter II and III iterations. That said, what’s on display is solid for most part. Is Street Fighter V: Arcade Edition What Street Fighter V Should Have Been at Launch? Starting with the original Street Fighter, it’s a single-player affair where you choose your nation (US or Japan) as you take on opponents one after the other. Complete with sound effects and voiced dialogues that the game would be better off without, it’s definitely the weakest of the lot. However it does give you an idea of how much of gap existed between this first game and what the series was eventually known for. 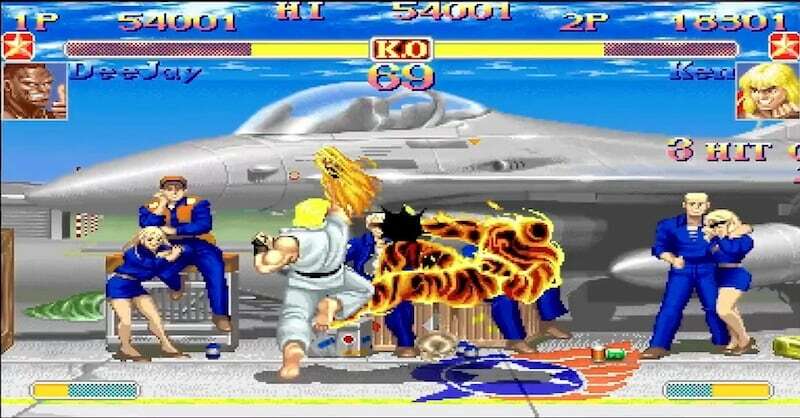 Which brings us to Street Fighter II and its many revisions. 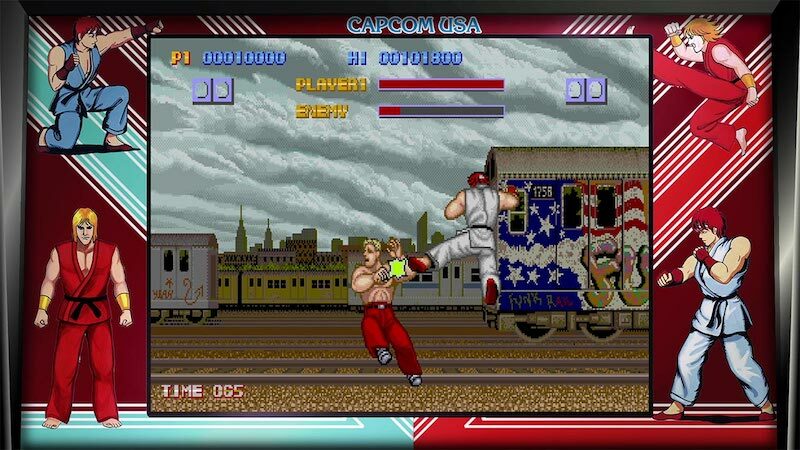 Chances are, this is the version of Street Fighter most are acquainted with due to its massive popularity in the arcades and on 16-bit consoles such as the SNES and Sega Mega Drive. Each and every iteration is near pixel perfect from the animations as you launch into an uppercut to the business of some of its backdrops like villages, piers, and army bases. Even the music is faithfully reproduced, making this a welcome trip down memory lane for old-timers and an enjoyable history lesson for newbies. The same applies to the Street Fighter Alpha trilogy and Street Fighter III series of titles. Their visuals are more cartoony than past entries but the depth gameplay in terms of parries, combos, and super moves makes them superior to the Street Fighter II offerings. Throw in a training mode that lets you spar against the CPU and there’s enough to ensure you’re never too far away from your own personal Evo Moment 37. What’s Street Fighter V’s Bollywood Connection? Visually there’s nothing amiss with Street Fighter 30th Anniversary Collection if you’re a fan of games looking as they did when they first released. They might lack the sharpness of modern remakes, but they held up well in both handheld and docked mode on the Nintendo Switch with the music being as good as ever, complete with flashy sound effects you’d expect from arcade machines of yore. Regardless of what you play in the Street Fighter 30th Anniversary Collection, the controls are responsive. Be it using the Switch’s Joy-Con or the Pro Controller, pulling off simple blocks or over the top attacks is a treat. This applies to playing both online and offline with the netcode being good enough to accommodate matches played while the Nintendo Switch was tethered to a 3G hotspot, or when connected to a 50Mbps Wi-Fi Internet connection. Where Street Fighter 30th Anniversary Collection falls short is in its extras. While Capcom has included design documents, character backgrounds, and concept art galore, there’s little in way of consistency or context. For example, the making of Street Fighter II section is replete with explanations that accompany each piece of art to explain various parts of the development process. 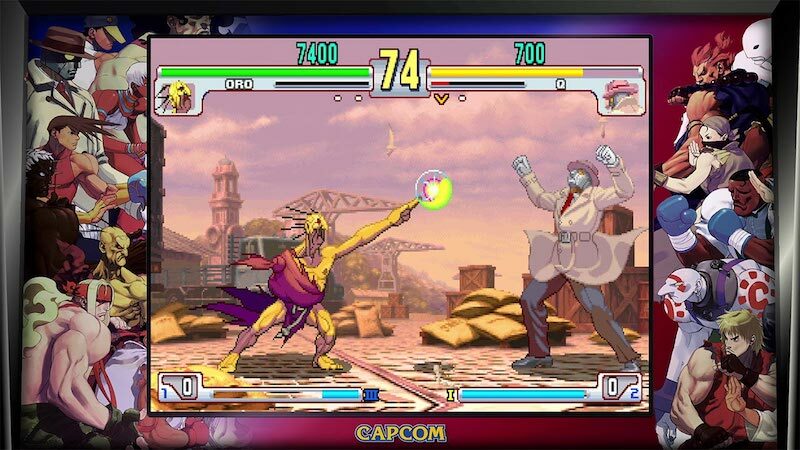 The same treatment isn’t meted out to Street Fighter III or Alpha. All you get is pieces of art with no descriptions or context. This aside, the other concern is with Street Fighter 30th Anniversary Collection’s price. On the Nintendo Switch, you’ll need to pay Rs. 3,499 versus Rs. 2,499 that Xbox One, PC, and PS4 owners will have to pony up. Odd considering the game has the same price of $40 the world over. Despite these issues, Street Fighter 30th Anniversary Collection is worth checking out just to get an idea of how the series has evolved since its inception decades ago. There’s a wealth of content to be had, even if it isn’t priced as well as it could have been on all platforms. Gadgets 360 played a review copy of Street Fighter 30th Anniversary Collection on the Nintendo Switch. Street Fighter 30th Anniversary Collection release date is May 29 for Nintendo Switch, PS4, Xbox One, and Windows PC with a price of Rs. 3,499 on the Switch and Rs. 2,499 on other platforms ($40 in the US).